Today we are with #CreativeCookieExchange sharing cookies with the theme of HEARTS!! 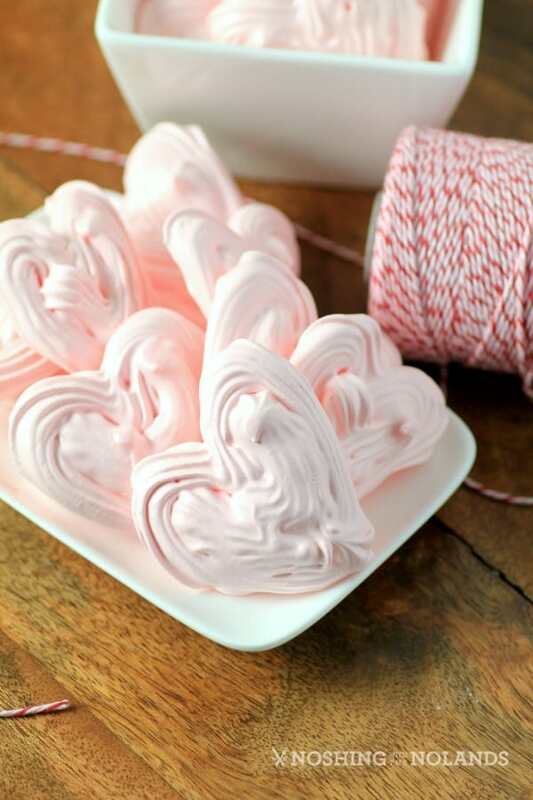 I decided to make Meringue Hearts, which are perfect for Valentine’s Day that is soon approaching!! Our daughter loves meringues and is always asking me to buy them for her. She was very happy to have these cute little hearts! They are light as air and really quite easy to make, very few ingredients. Meringues are slightly more difficult at higher elevations, at least I believe they are. We are at >3500 feet here in Calgary. What I find is that I have to beat the egg white mixture much longer for it to stay at stiff peaks, so that I can pipe it out of a bag. I find that if I beat it to the directions or a normal recipe it falls too quickly back to soft peaks. The only thing with beating the egg whites too long is that they may dry out. That honestly has never happened to me though. The meringues with a longer whipping time turned out perfectly. I also like to bake them in a lower temperature oven, at 200F. I find this dries them out nicely without having any signs of browning. 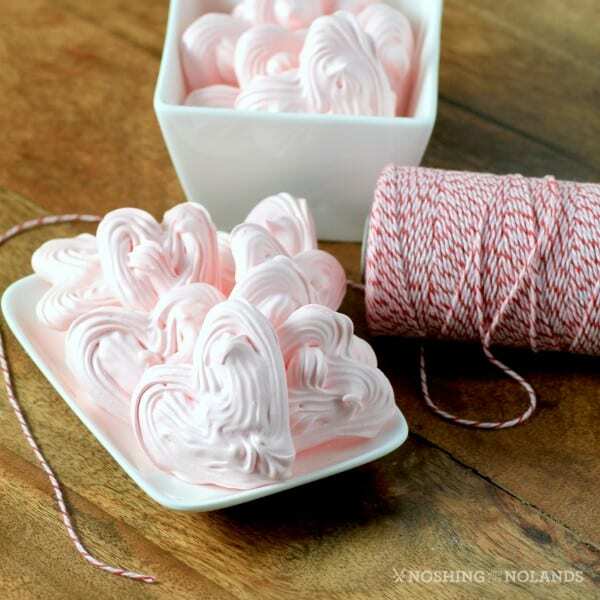 The little heart meringues are light as air. They also last well in a sealed container for days, keeping their lovely light crispy texture. To get the pink colour I added a little bit of gel food colouring, just to get them to a pretty light pink colour. You can easily adjust that to how you like it. 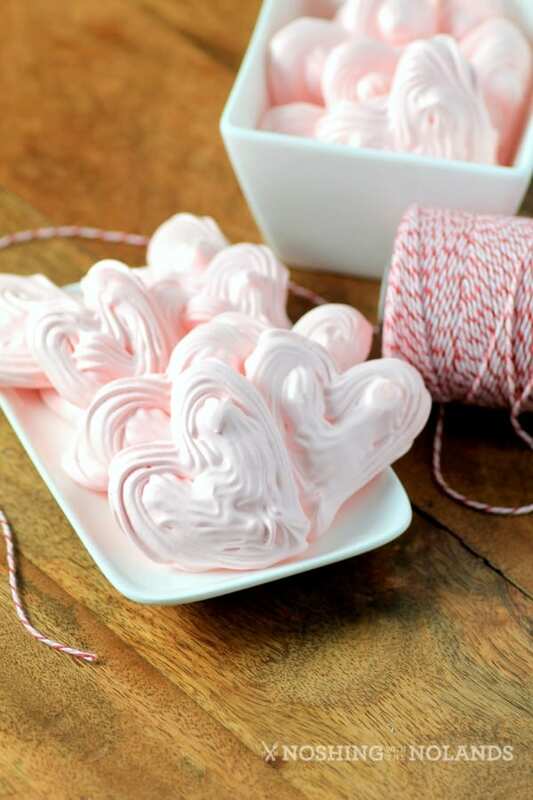 A light as air Valentine's Day Meringue Heart that your loved ones will so appreciate! In the bowl of a standup mixer add the egg whites and beat on medium low speed until foamy. Add the cream of tartar and continue to beat until soft peaks. Add the sugar a little at a time and continue to beat until the meringue hold stiff peaks and when the mixture is rubbed between your fingers it is not at all gritty. Depending on your altitude to get it to stiff peaks that will stay you may require longer beating than 7 min. Add red gel to desired colour. Mix well. Transfer the meringue to a pastry bag and desired tip. I used a closed star tip. Hold the parchment down to the cookie sheet with a little meringue in the corners. Pipe the meringue into heart shapes on the prepared sheets. You can leave the center empty if desired or fill it in with more meringue. A finger dabbed in water can be used to flattened out the spike at the end of piping or just leave it. Make your hearts to desired size, 1", 2" or more. Bake for 90-120 min. depending on size. They can be easily checked to see if they are dried out enough but they do dry also with cooling. Let cool on the baking sheets and then remove to an airtight container. Oh my goodness Tara, those cookies are adorable! The color is so delicate just like the meringue. I can’t think of a more perfect cookie for Valentine’s Day. Pretty in pink! Those are so gorgeous and elegant looking! I’m so inspired to try making them. It must be quite a challenge at higher elevations having to adapt things. The altitude doesn’t really seem to affect too many things but this is one that I have noticed. Thanks for the high altitude tip. I made these last week in anticipation of posting today but had to throw out the whole lot! Even the house smelled badly after my mishap with meringue cookies. I have not made them in ages and think I didn’t account for my altitude issues. Yours look so nice! They can be very easy or not!! I have to remember not to chomp at the bit and let them whip away. Thanks Holly. I almost made these this month too! They are just so pretty and festive! These are lovely! My daughter has been asking me to make meringues too, and I promised her I’d make them for Christmas and never did. I will have to try heart ones! I LOVE these cookies! My kids would die for them! And I have never had egg whites dry out either (knock on wood lol). I am so making these for a party this weekend, Tara! I love the delicate pink and can just imagine the gentle crunch of the outside and the soft chewy inside. Perfection that melts in your mouth! 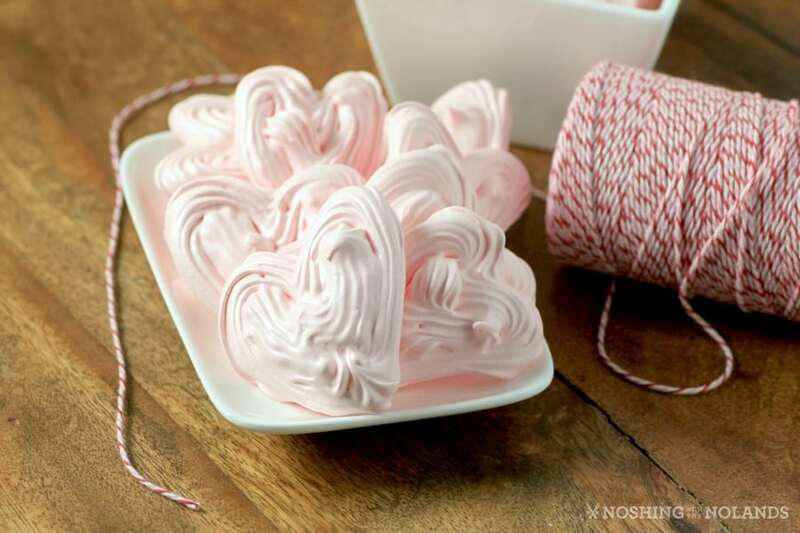 I like the fact that though these hearts are pretty simple to make, they look and taste so nice, love the color as well! Lovely cookies! This a cookie I need to bookmark, I’ve never made them or have even tried a meringue cookie. This would be fun to make! You are so creative Tara! These cookies look beautiful and I love how light meringue cookies are. The “Pretty in Pink” theme fits Valentine’s Day perfectly. What a cool Valentine’s sweet! Oh my Tara! I never realized how easy it is to make these!! They are so adorable and perfect for Valentines Day!! Thanks for sharing this recipe! 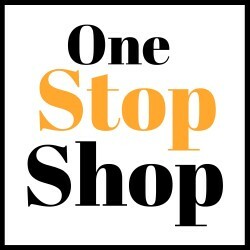 Fantastic Valentine’s treat, or for any other special #love day! Wow, these are such pretty pale pink cookies. I haven’t made meringue in such a long time, but I can see I am going to have to remedy that very soon. I saw these posted on Twitter and immediately “favorited” them! They are so pretty! I definitely want to give these a try for Valentine’s Day! I hope they turn out nicely for you, Happy Valentine’s Day! !